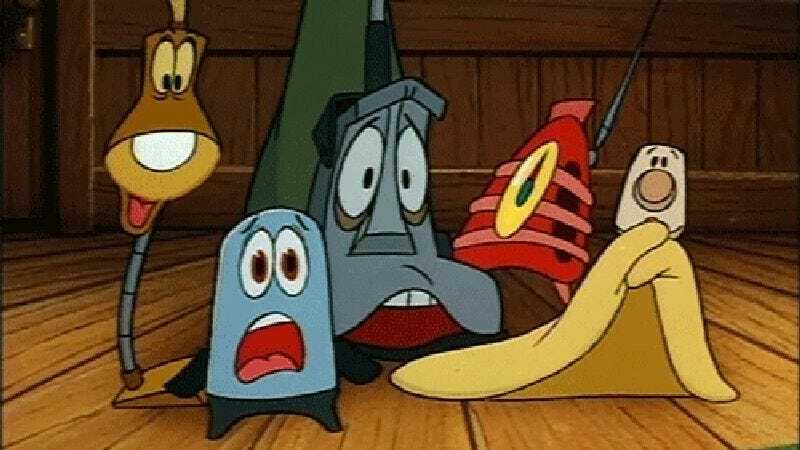 Waterman Entertainment—producer of all three Alvin And The Chipmunks films, and the company who is to your beloved childhood entertainment what the death of a grandparent is to childhood itself—has acquired the rights to Disney's The Brave Little Toaster, with plans to turn the 1987 film into the sort of CGI/live-action hybrid that has repeatedly revealed the cavernous void hiding behind so many a falsely warm, two-dimensional façade. "Waterman has raised a development fund to acquire, option and develop well-recognized family properties and brands that adhere to specific elements that we deem suitable to create CGI/live action hybrid films with potential for licensing and merchandising," the company's co-manager Tucker Waterman told The Wrap, briefly aware that he was unable to pinpoint exactly when he stopped having human feelings. To that end, Waterman adds, the well-recognized brand that is Brave Little Toaster has been deemed to have specific, suitable elements that can be useful for merchandising, such as the potential for incorporating into its assemblage of adorably anthropomorphic appliances "technology that didn’t exist back in 1987, including the iPhone." Additions like this—combined with semi-topical cultural references, and perhaps a musical sequence set to an '80s pop song—will create the synergistic cross-promotional entertainment that today's children so enjoy, and which generate the sort of profits for the Watermans that continue to prevent them from peering into the abysmal depths of their own soullessness and discovering that they, too, are little more than talking machines. "The company is focused on the exploitation of each property on multiple platforms in addition to and in coordination with the films," Waterman added, frowning as he fleetingly, involuntarily remembered a day when he was a carefree child who experienced pure joy, before the thought was replaced once more by a comforting black void.